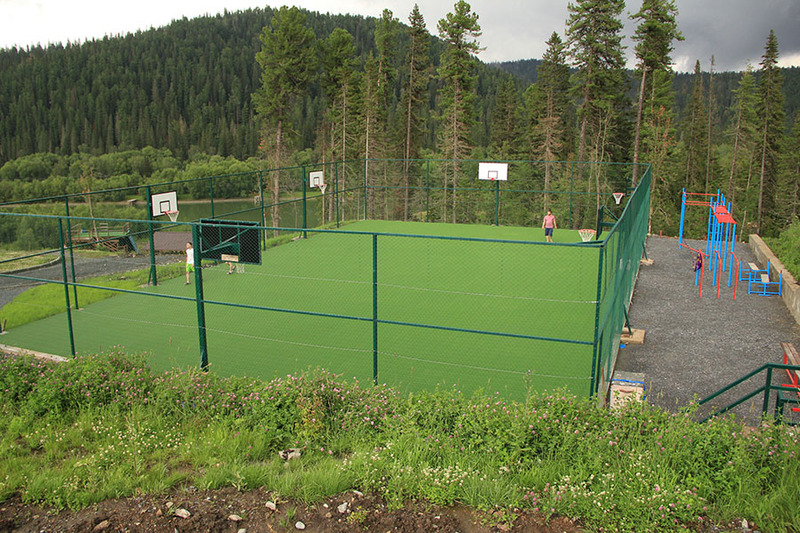 Summer is a great time for outdoor sports. 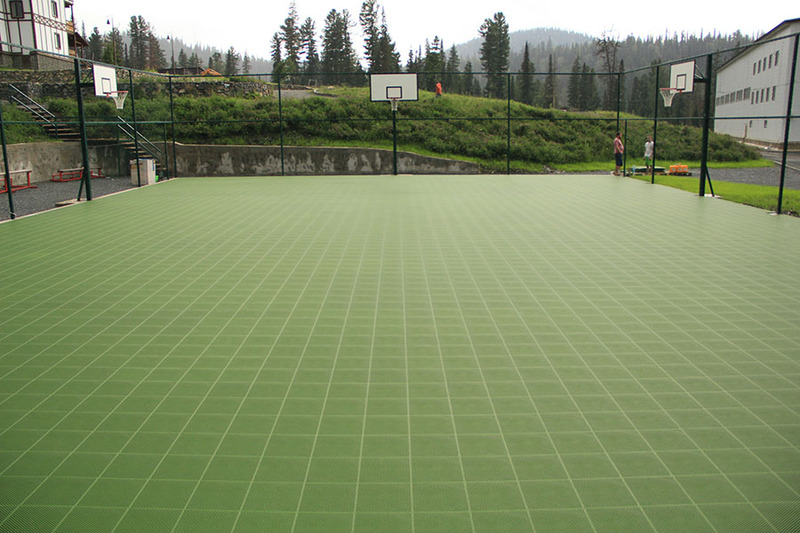 And, depending on what kind of sport you like more, using special modular floorings on your sports grounds, you can easily choose between basketball, tennis, volleyball, handball, fitness and so on. 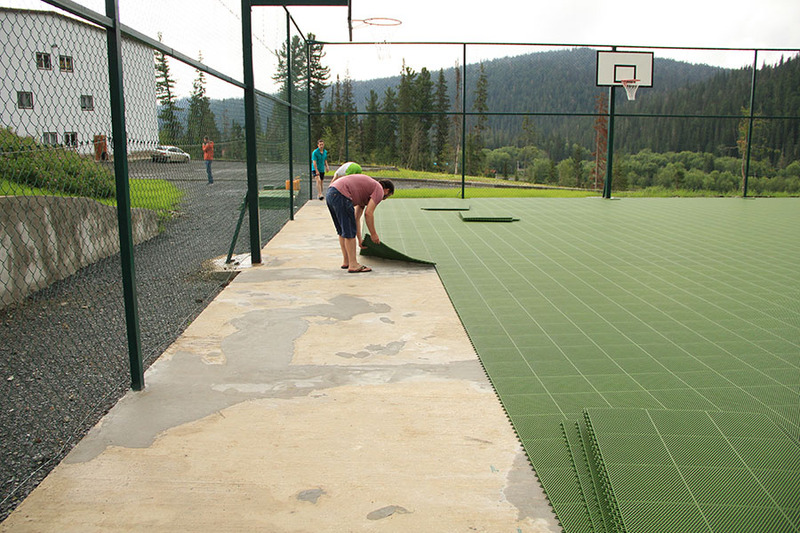 At one of our recent object in Krasnoyarsk, we used the modular sports flooring Ecoteck of our own production. The flooring was installed in sheets of twelve tiles (size 305 * 305 * 16mm) on a concrete surface without the use of glue and any special tools. Quickly and simply! 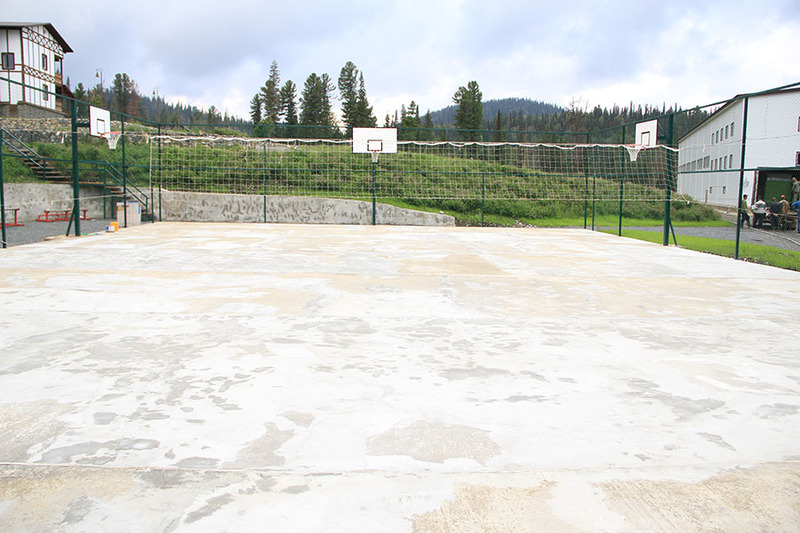 Concrete playground for game sports with an area of 504 square meters in almost four hours turned into a beautiful sports court, with the efforts of only a few people. 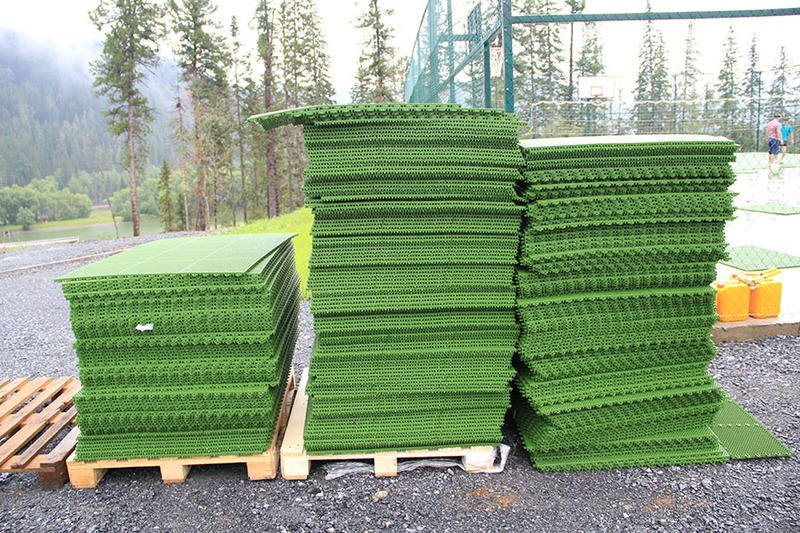 This flooring creates excellent cushioning during the game, providing step control, reducing the stress and fatigue of the players legs. 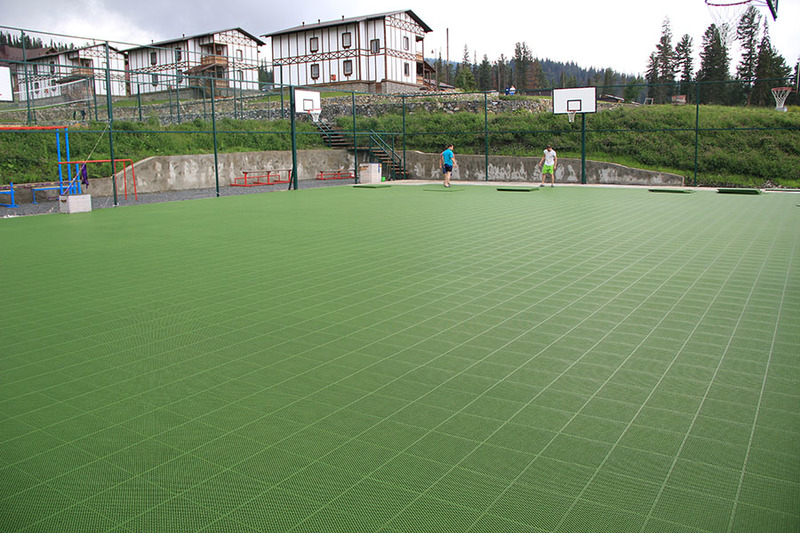 The special design of the mesh cover helps drain the water, while leaving a dry sports surface.